The Groundsmaster® 4700-D continues to provide the clean quality of cut of a reel mower but with the maintenance ease of a rotary. At 150” width of cut, the free-floating Contour™ Plus Decks eliminate scalping, provide dramatic striping and deliver a picture perfect cut. 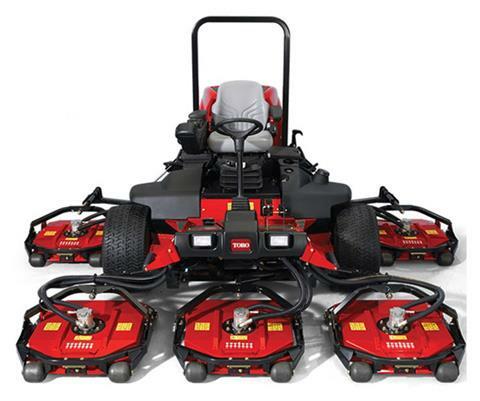 Toro’s exclusive new SmartCool™ system keeps your machine on the job and moving forward. Before things get too hot, SmartCool briefly reverses the cooling fan to blast chaff and debris from the intake screens. With a 55 hp (41 kW) Tier 4 Final compliant turbo-diesel and the new Smart Power™ technology, that maximizes power to the cutting blades, the Groundsmaster 4700-D is an unprecedented blend of powerful productivity and refined results. POWERFUL KUBOTA ENGINE: The Kubota® 60 hp (44.7 kw) turbo-diesel liquid-cooled, 4-cylinder engine provides an abundance of power to handle the most demanding mowing conditions. 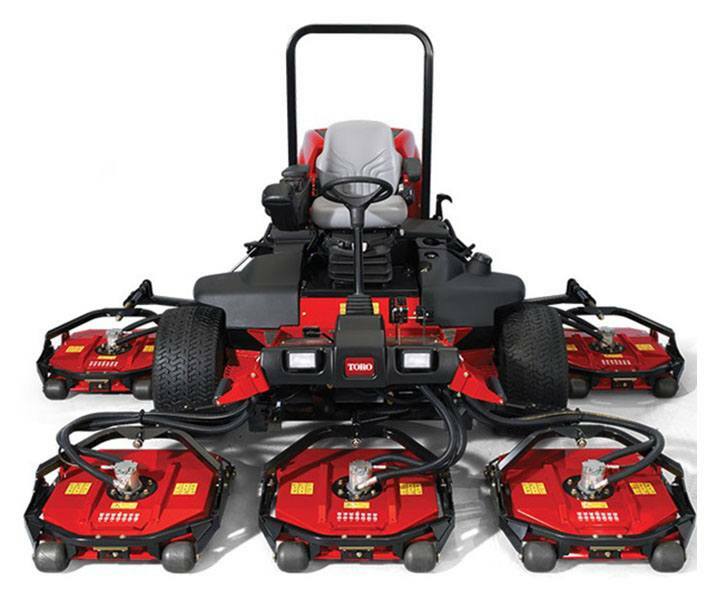 The 4500-D and 4700-D are the most powerful mowers in their class, with 117 ft lbs. (158.6 N) of torque at 58 hp (43.3 kw) net and normal engine speed of 2600 RPM.